It’s Flare Cover Reveal Day! Over a dozen blogs have already shared this awesome cover today. Many thanks to the hosts who kindly offered to do so. Now it’s my turn! 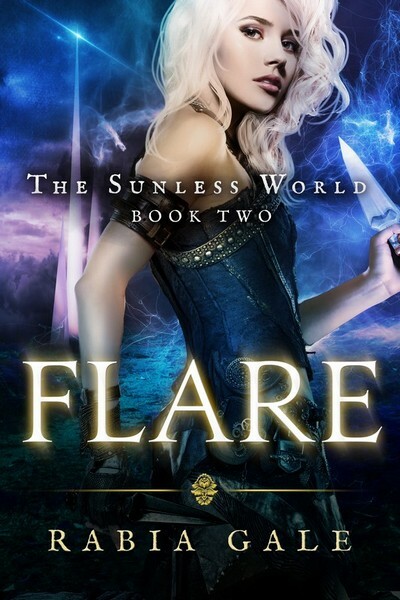 Without further ado, here’s the cover for Flare, Book Two of The Sunless World, an epic fantasy series with a steampunk flavor. Rafe’s old enemy Karzov has gathered a band of prodigies obedient to his will. He seeks the power of the ancient mages for an audacious and sinister purpose. It’s up to Rafe and his ally, Isabella, to stop him—and undo the mistakes of the past to put their world right again. Flare will be out in September 2016, for sure! (But I’m really hoping to make it August *crosses fingers*). It’s been a while since I did a State of the Writing update. 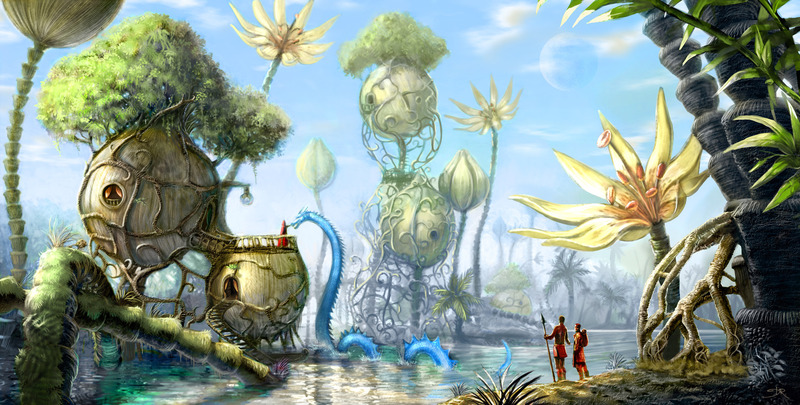 Flare, Book 2 of The Sunless World series, has been handed over for proofreading and formatting. This is the last planned book in the series, though I have left a smidgen of an opening in case there is demand for more. I’m planning a cover reveal for July 20th–but it won’t be on this blog. A number of other authors and readers have kindly offered to host a cover reveal on their blogs, so I’ll direct you to theirs on that day. It’s a fabulous cover featuring Isabella, and I can’t WAIT to share it with the wider world! Now I’m in the middle of editing Ghostlight, Book One of a completely different project. 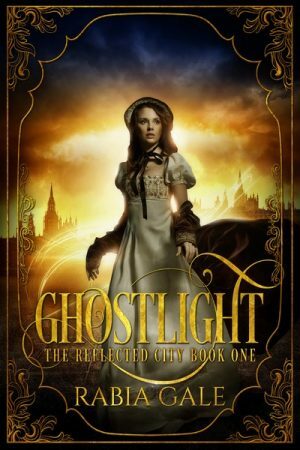 Whereas The Sunless World is a steampunk-flavored epic fantasy series, Ghostlight is a paranormal fantasy set in a Regency-inspired world. Think magic in a Jane Austen or Georgette Heyer setting and you won’t be too far off! “I shouldn’t encourage you to haunt people, but I’ll make an exception this time.” Trey peered into an interior so gloomy, it looked like the place sunlight went to die. It was also spectacularly cluttered, rather like the drawing room of an aristocratic emigree goblin family. He knocked against a table with slender gilt legs. The china on it rattled alarmingly and a cloud of dust flew up. Trey sneezed. “Bless you,” said Arabella. She was already halfway across the room, examining a display cabinet entirely full of cross china cats. Trey turned his head and found himself staring at a bedraggled stuffed owl with glass eyes. “I know how you feel,” he told it. “I’m the same way in the mornings.” The owl didn’t respond. Fellow writers, what are you working on now? Any upcoming or recent releases? Please share! Before I scampered off on an Alaskan cruise at the beginning of June (yes! I was in Alaska! It was cold! But awesome! ), I ran a 5-day free promotion on Quartz. And along the way I learned some things (as I always do). I decided to run this promotion on a whim. Quartz’s term in Kindle Select was coming to an end, and I hadn’t used any of my promotional days. I decided on the free days over the Kindle Countdown Deal because I’ve never done a free promo before. I figured, eh, why not? So I picked my five days to end just before I left on vacation. Since I was throwing this together quickly, I opted not to put any money into paid advertising. Instead I relied on a combination of my social media reach, Facebook groups, and free services to get the word out. It worked pretty well. Quartz was able to get to #2 on the Free Steampunk list on Amazon and as high as #22 on the Free Epic Fantasy list. That meant it stayed on the first page of one sub-category and the second of another for most of the promotion. A promotion does not have a natural downward trend like I assumed. I had booked the majority of the promotional sites for the first three days (though some ran for all five). The first day had a lot of downloads, the next day fewer, the third fewer still. I expected Days 4 and 5 to drop even lower, but to my surprise both exceeded Day 2’s downloads. Takeaway is to expect the middle of the promotion will have the biggest slump. The sooner a deal is going away, the more likely people are to jump on it. Facebook is actually a pretty good promotional tool. Yes, I know Facebook ads are a big thing, but since I was doing this with a budget of $0, all I did was post about the deal to relevant FB book groups. I’ll be upfront and say that I was skeptical that this would have any effect whatsoever, but tracking my links showed that many more clicks originated from FB than Twitter. I should really look into FB ads some day. The more I market, the easier it gets. You don’t get good at marketing unless you actually get out there and do it. The more I post about my books, the easier it gets to come up with taglines and catchy blurbs. After running a promotion, I feel like I have a better handle on what makes my book appealing and how to convey it succinctly. And that, to me, is just as valuable as ranking high on an Amazon list, because it’s something I can put to use again. What are the best no-cost promotional tools and strategies you’ve found? 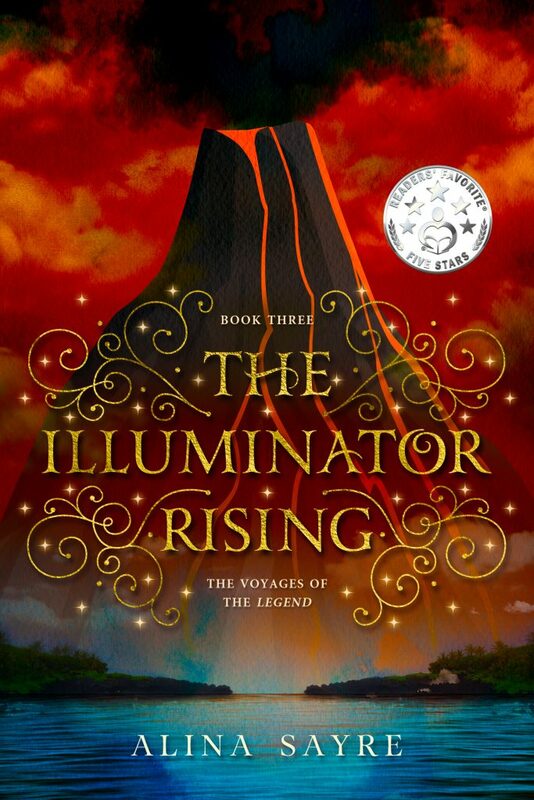 Today, I’m delighted to host a new release post for MG fantasy author, Alina Sayre, for The Illuminator Rising, Book Three of The Voyages of the Legend. I read the first book of the series, The Illuminator’s Gift, on a recent vacation, and was captivated by a world of coral archipelagos, airborne islands, and flying ships. Ellie is an orphan who has always wanted to belong. Returned by three families and almost thirteen, she’s fast running out of chances. It seems she’s doomed to a bleak future working in a factory until she’s offered the opportunity to join a rescue fleet that serves a Christ-like king. Taken up into a flying ship crewed by a cast of colorful characters, Ellie discovers that her artistic gifts have a greater purpose than she’d ever imagined. Sayre paints an enchanting world with a deft brush and lovely prose. Ellie herself is a sympathetic character whose growth is slow but sure. The plot moves along at a good clip. And while I had issues with some of the captain’s decisions, overall I was charmed by this middle-grade fantasy and delighted by one plot twist that I saw coming but was still happy when it happened! Driven from their home island of Rhynlyr, Ellie and her friends must solve a riddle to find the survivors of the Vestigia Roi. But instead of a safe haven, they discover a hopeless band of refugees paralyzed by fear. Strengthened by new allies and new gifts, the crew of the Legend faces dangers like never before. Can they escape being shot out of the sky, falling over the Edge of the world, or being engulfed by urken armies long enough to rally the Vestigia Roi? And can they rekindle a fire from the ashes of the One Kingdom before Draaken takes over the world? 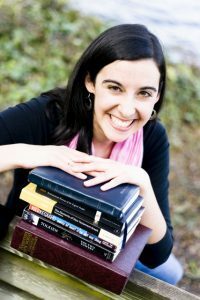 Alina Sayre began her literary career chewing on board books and has been in love with words ever since. Now she gets to work with them every day as an author, educator, editor, and speaker. 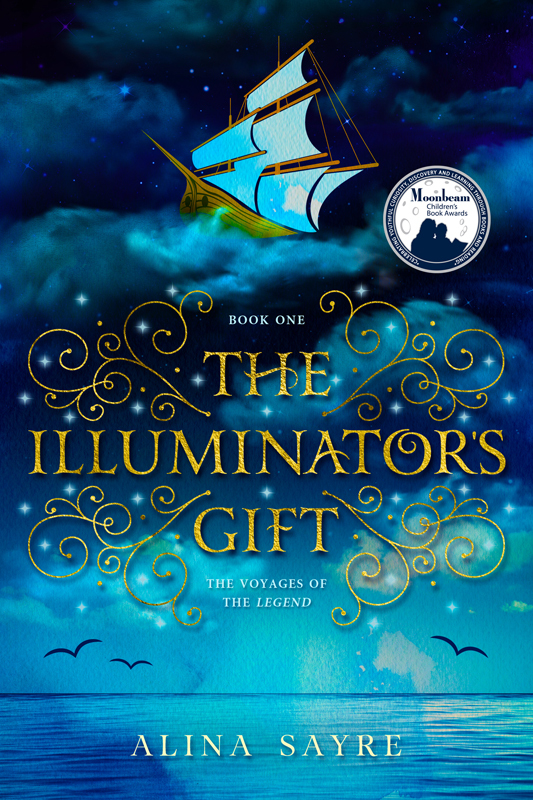 Her first novel, The Illuminator’s Gift, won a silver medal in the Moonbeam Children’s Book Awards, and all three books in The Voyages of the Legend series have received 5-star reviews from Readers’ Favorite. When she’s not writing, Alina enjoys hiking, crazy socks, and reading under blankets. She does not enjoy algebra or wasabi. When she grows up, she would like to live in a castle with a large library.